This article explores the process of implementing an Image Distortion Blur filter. 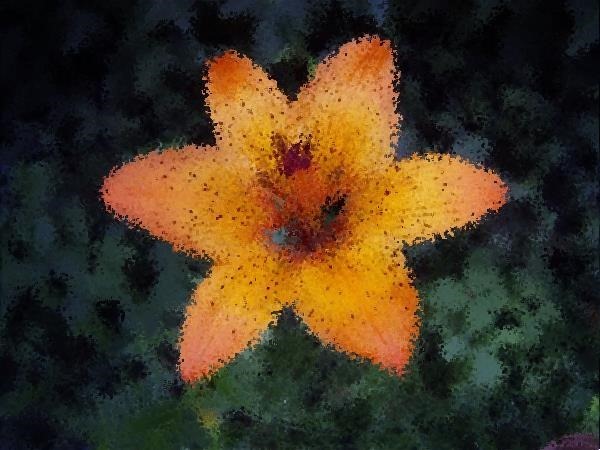 This image filter is classified as a non-photo realistic image filter, primarily implemented in rendering artistic effects. 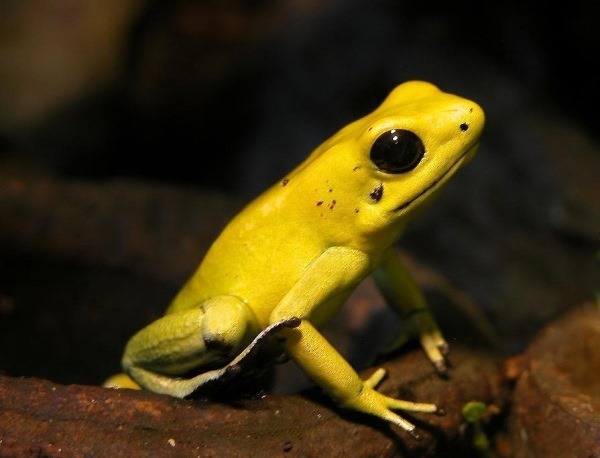 Load/Save Images – Clicking the Load Image button allows a user to specify a source/input image. If desired, output filtered images can be saved to the local file system by clicking the Save Image button. Distortion Factor – The level or intensity of image distortion applied when implementing the filter can be specified when adjusting the Distortion Factor through the user interface. 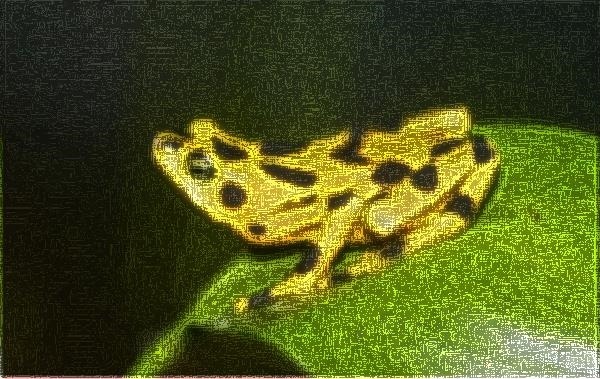 Lower factor values result in less distortion being evident in resulting images. Specifying higher factor values result in more intense image distortion being applied. 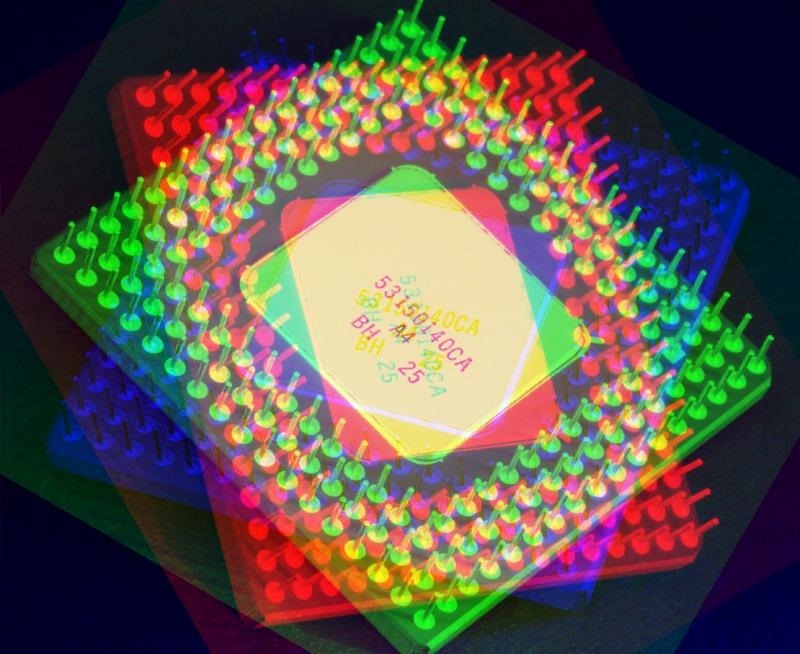 In this article and the accompanying sample source code images are distorted through slightly adjusting each individual pixel’s coordinates. The direction and distance by which pixel coordinates are adjusted differ per pixel as a result of being randomly selected. The maximum distance offset applied depends on the user specified Distortion Factor. Once all pixel coordinates have been updated, implementing a Median Filter provides smoothing and an image blur effect. Iterate Pixels – Each pixel forming part of the source/input image should be iterated. Calculate new Coordinates – For every pixel being iterated generate two random values representing XY-coordinate offsets to be applied to a pixel’s current coordinates. 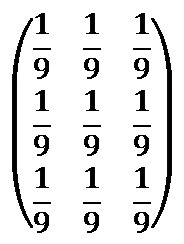 Offset values can equate to less than zero in order to represent coordinates above or to the left of the current pixel. 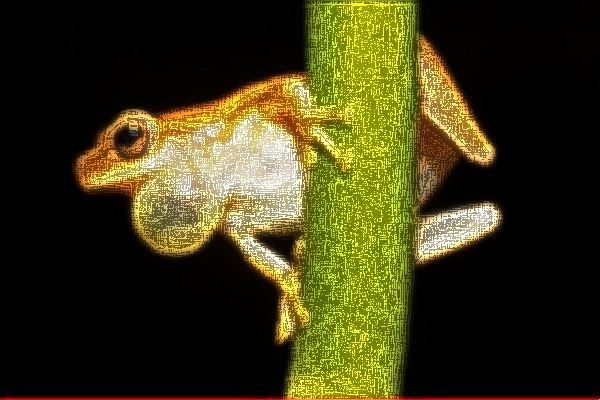 Apply Median Filter – The newly offset pixels will appear somewhat speckled in the resulting image. Applying a Median Filter reduces the speckled appearance whilst retaining a distortion effect. 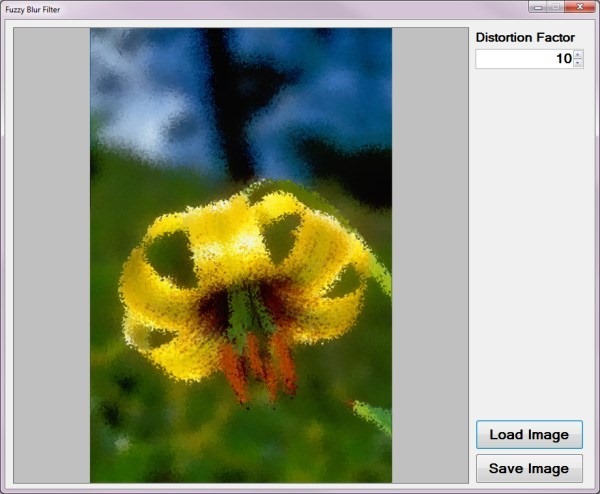 Applying a Median Filter is the final step required when implementing an Image Distortion Blur filter. Median Filters are often implemented in reducing image noise. The method of image distortion illustrated in this article express similarities when compared to image noise. In order to soften the appearance of image noise we implement a Median Filter. Inspect Pixel Neighbourhood – Each neighbouring pixel in relation to the pixel currently being iterated should be added to a temporary collection. Determine Neighbourhood Median – Once all neighbourhood pixels have been added to a temporary collection, sort the collection by value. The element value located at the middle of the collection represents the pixel neighbourhood’s Median value. 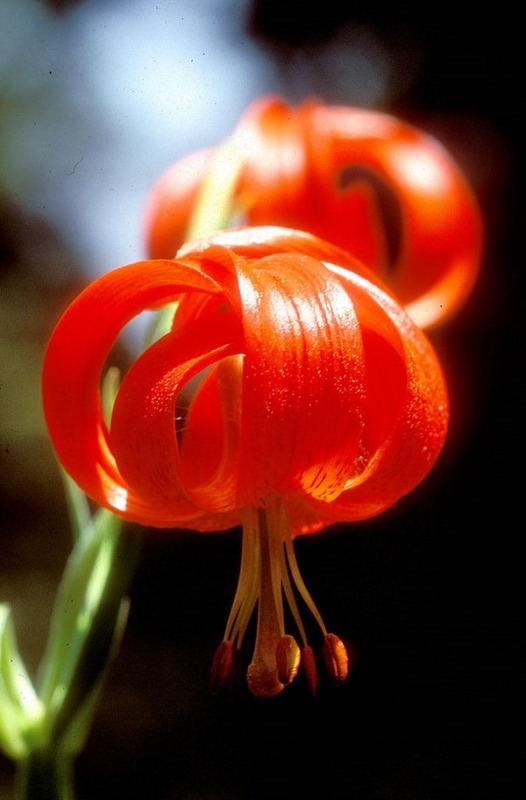 Lilium chalcedonicum in habitat at Hrisomiglia, Greece. Attribution: Ernst Gügel. This file is licensed under the Creative Commons Attribution-Share Alike 3.0 Unported license. 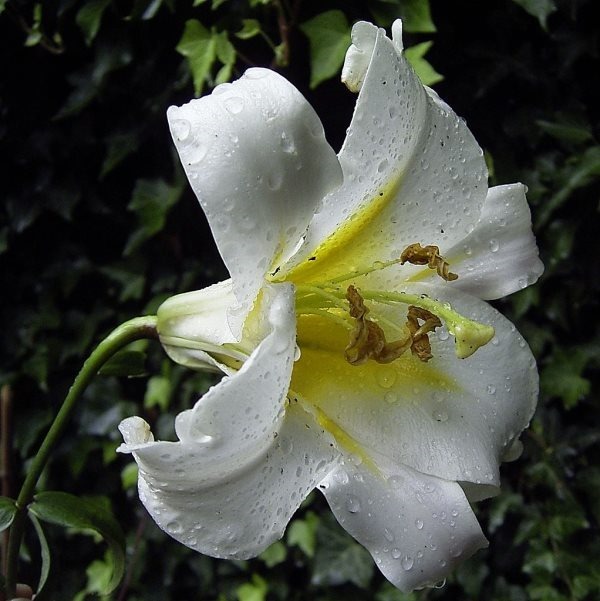 Lilium ponticum in habitat near Ikizdere, Turkey. Attribution: Denis Barthel. This file is licensed under the Creative Commons Attribution-Share Alike 3.0 Unported license. 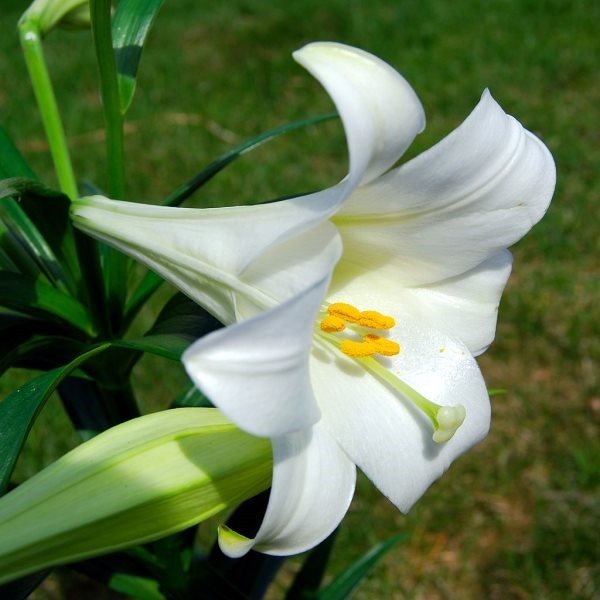 A lilium longiflorum, commonly known as an Easter Lily. Attribution: Matt H. Wade. This file is licensed under the Creative Commons Attribution-Share Alike 3.0 Unported license. 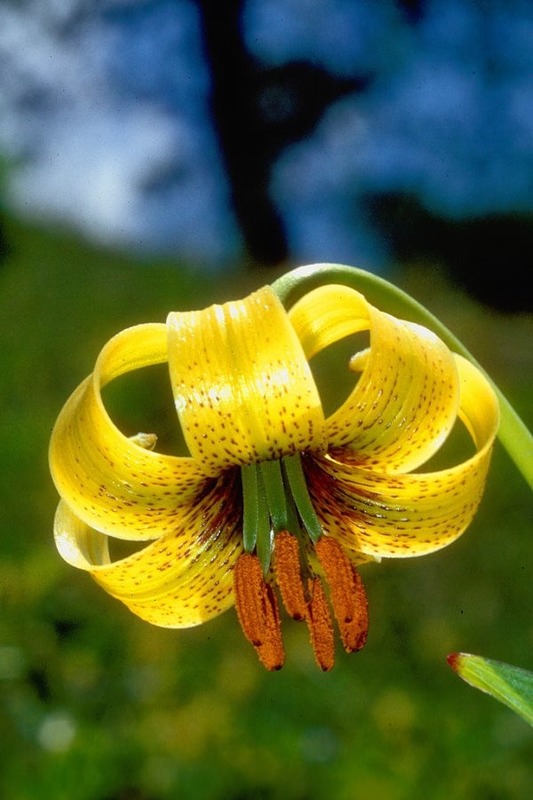 Flora Lilium bulbiferum ssp. croceum, ex coll. Monte Adone, Bologna, Italia. 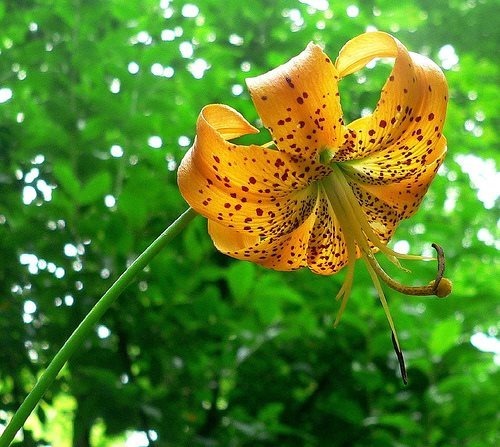 Turks Cap Lily the Great Smoky Mountains National Park in western North Carolina. Attribution: Arx Fortis. This file is licensed under the Creative Commons Attribution-Share Alike 3.0 Unported license. Orange Lily in full bloom showing pollen covered stamens, Ontario, Canada. June 2002. Attribution: Relic38. This file is licensed under the Creative Commons Attribution 3.0 Unported license. 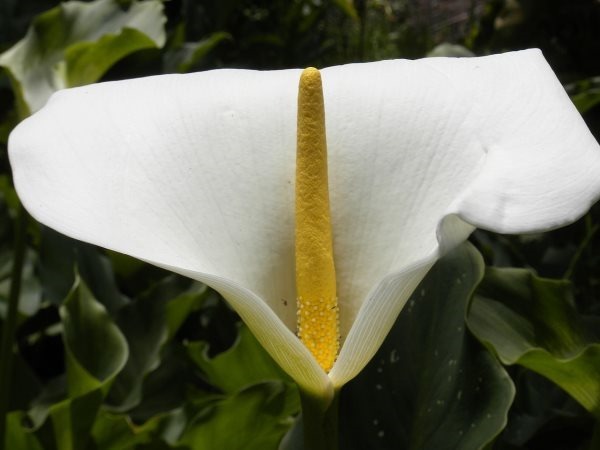 Zantedeschia aethiopica (common names calla lily, arum lily). Attribution: Two+two=4. This file has been released into the public domain. This applies worldwide. 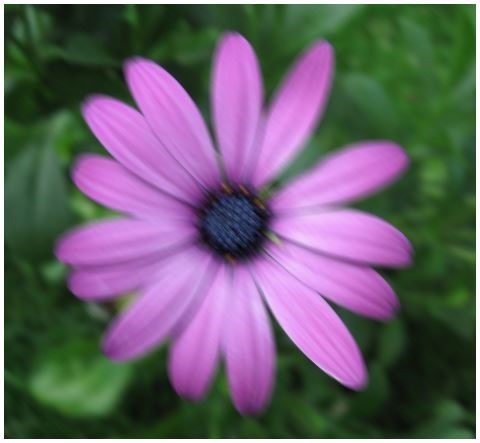 This article serves to illustrate the concepts involved in implementing a Fuzzy Blur Filter. 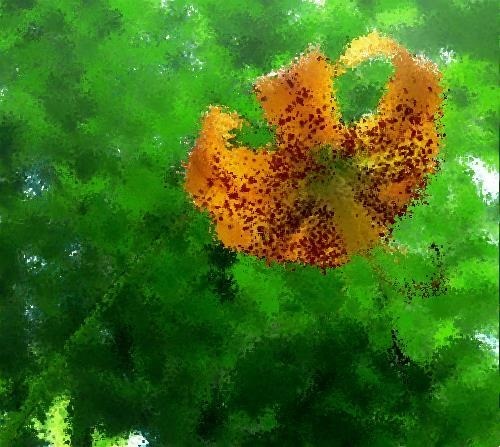 This filter results in rendering non-photo realistic images which express a certain artistic effect. The sample source code accompanying this article includes a Windows Forms based test application. The concepts explored throughout this article can be replicated/tested using the sample application. Loading and Saving Images – Users are able to load source/input images from the local file system by clicking the Load Image button. Clicking the Save Image button allow users to save filter result images. 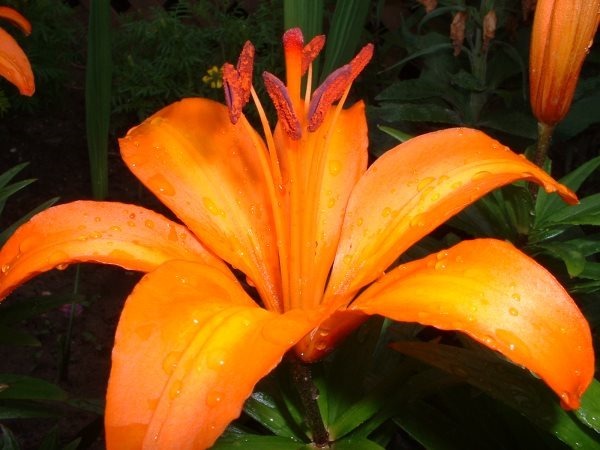 Filter Size – The specified filter size affects the filter intensity. Smaller filter sizes result in less blurry images being rendered, whereas larger filter sizes result in more blurry images being rendered. 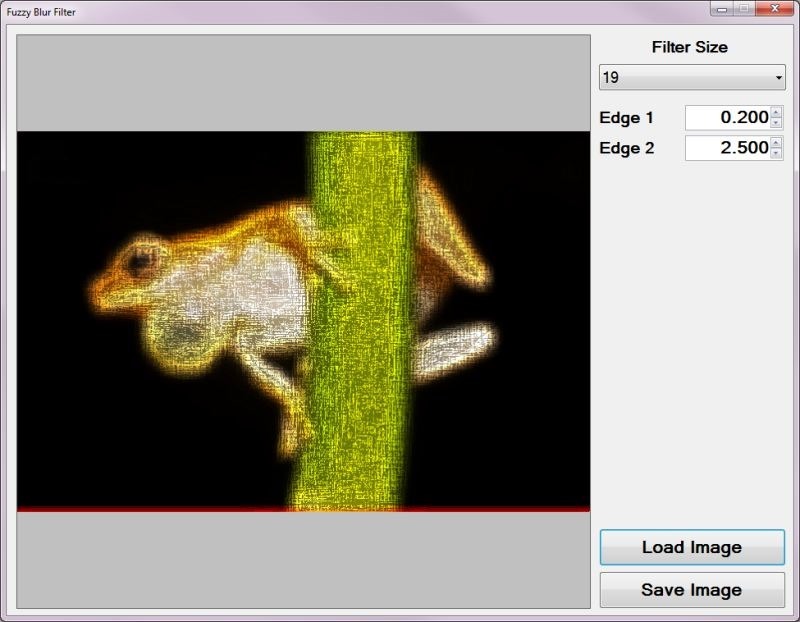 Edge Factors – The contrast of fuzzy image noise expressed in resulting images depend on the specified edge factor values. 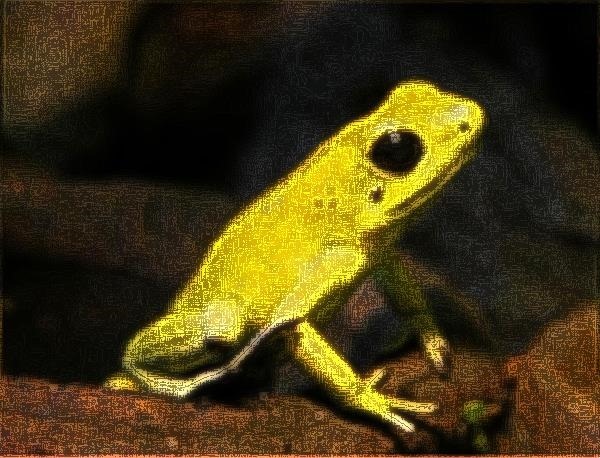 Values less than one result in detected image edges being darkened and values greater than one result in detected image edges being lightened. The Fuzzy Blur Filter relies on the interference of image noise when performing edge detection in order to create a fuzzy effect. In addition image blurring results from performing a mean filter. 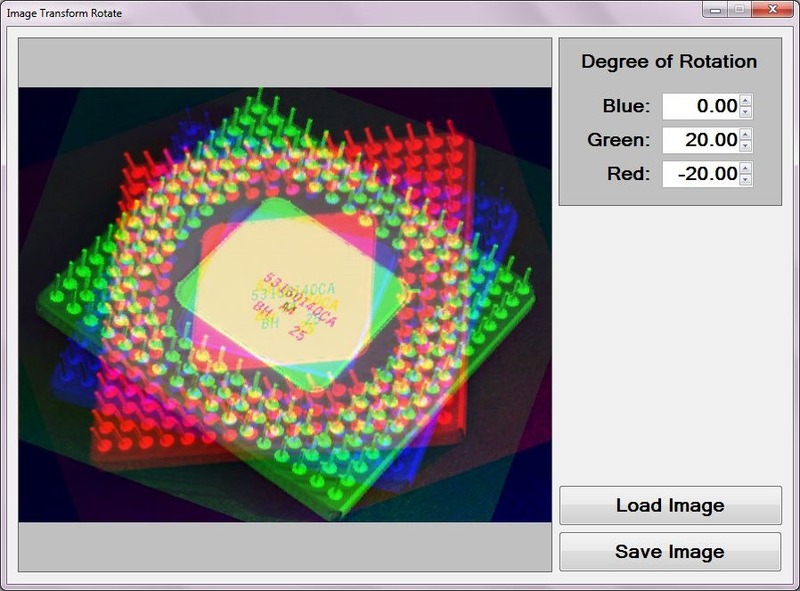 Edge Detection and Enhancement – Using the first edge factor specified enhance image edges by performing Boolean Edge detection. Being sensitive to image noise, a fair amount of detected image edges will actually be image noise in addition to actual image edges. Mean Filter Blur – Using the edge enhanced image created in the previous step perform a mean filter blur. The enhanced edges will be blurred since a Mean filter does not have edge preservation properties. The size of the Mean filter implemented depends on a user specified value. Edge Detection and Enhancement – Using the Mean filter blurred image created in the previous step once again perform Boolean Edge detection, enhancing detected edges according to the second edge factor specified. 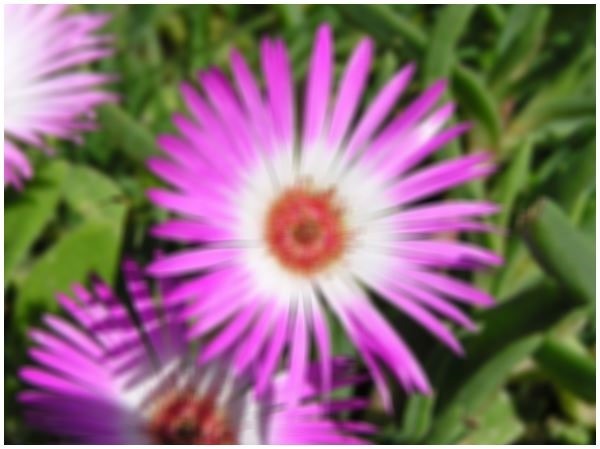 A Mean Filter Blur, also known as a Box Blur, can be performed through image convolution. 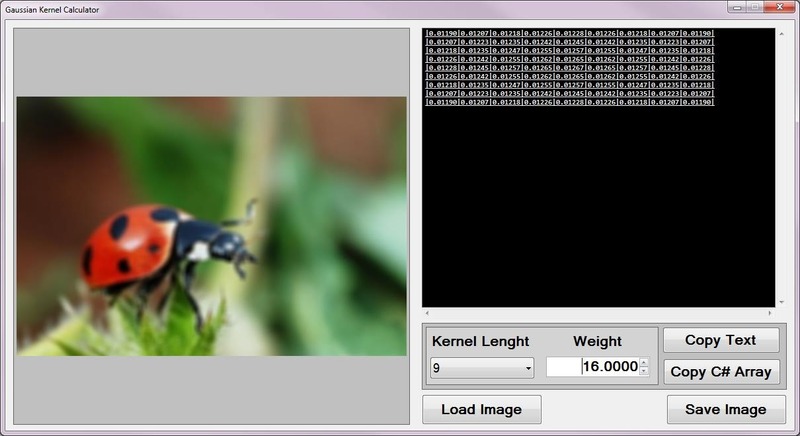 The size of the matrix/kernel implemented when preforming image convolution will be determined through user input. When performing Boolean Edge Detection a local threshold should be implemented in order to exclude image noise. 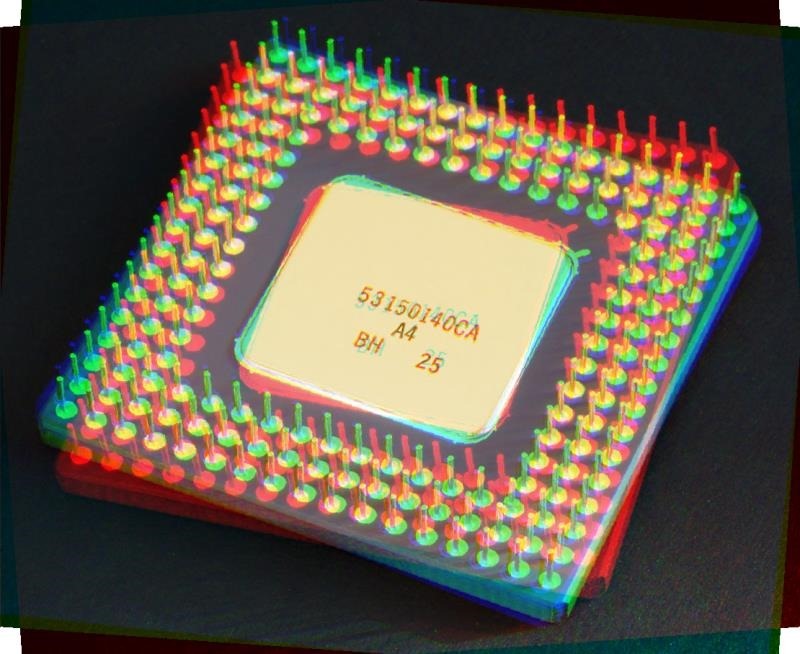 In this article we rely on the interference of image noise in order to render a fuzzy image effect. By not implementing a local threshold when performing Boolean Edge detection the sample source code ensures sufficient interference from image noise. Calculate Neighbourhood Mean – Iterate each pixel forming part of the source/input image. Using a 3×3 matrix size calculate the mean value of the neighbourhood surrounding the pixel currently being iterated. Create Mean comparison Matrix – Once again using a 3×3 matrix size compare each neighbourhood pixel to the newly calculated mean value. Create a temporary 3×3 size matrix, each matrix element’s value should be the result of mean comparison. Should the value expressed by a neighbourhood pixel exceed the mean value the corresponding temporary matrix element should be set to one. When the calculated mean value exceeds the value of a neighbourhood pixel the corresponding temporary matrix element should be set to zero. Compare Edge Masks – Using sixteen predefined edge masks compare the temporary matrix created in the previous step to each edge mask. If the temporary matrix matches one of the predefined edge masks multiply the specified factor to the pixel currently being iterated. (calcOffset >= pixelBuffer.Length - 2 ? Boolean Edge detection is performed in the sample source code through the implementation of the BooleanEdgeDetectionFilter method. This method has been defined as an extension method targeting the Bitmap class. The FuzzyEdgeBlurFilter method serves as the implementation of a Fuzzy Blur Filter. As discussed earlier a Fuzzy Blur Filter involves enhancing image edges through Boolean Edge detection, performing a Mean Filter blur and then once again performing Boolean Edge detection. This method has been defined as an extension method targeting the Bitmap class. Attribution: LiquidGhoul. This file has been released into the public domain by its author, LiquidGhoul. This applies worldwide. Attribution: Wilfried Berns. This file is licensed under the Creative Commons Attribution-Share Alike 2.0 Germany license. Attribution: Brian Gratwicke. 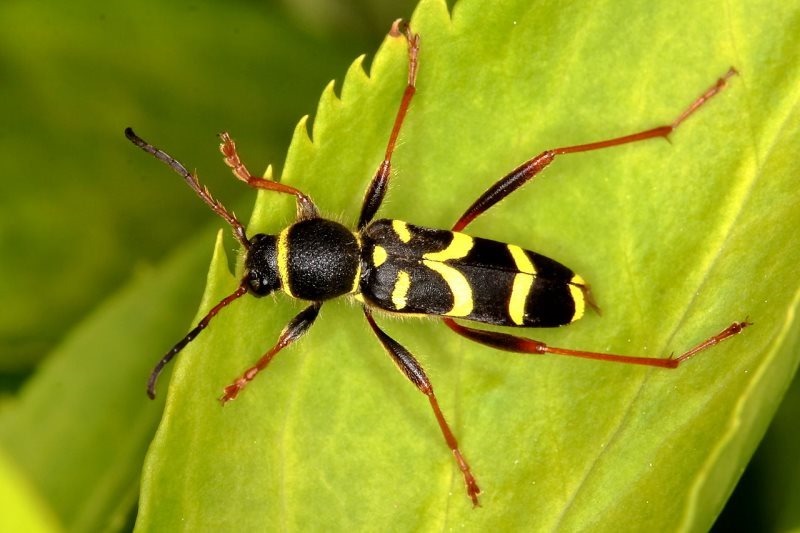 This file is licensed under the Creative Commons Attribution 2.0 Generic license. 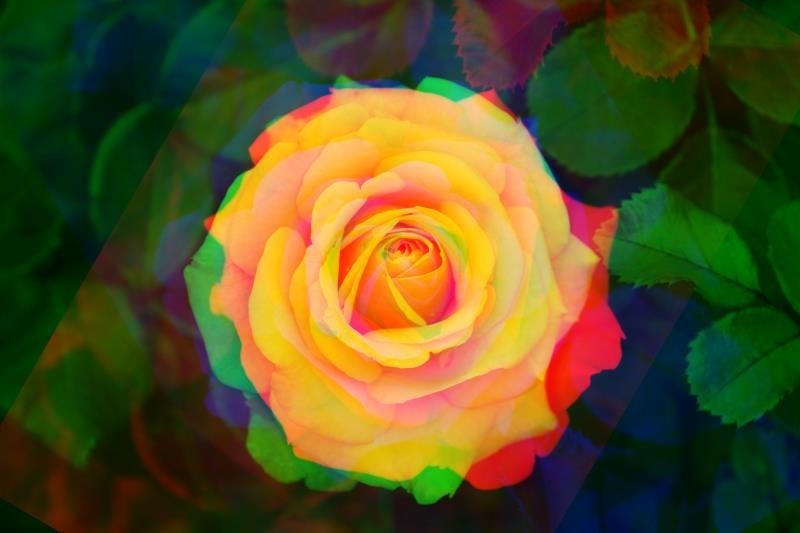 This article provides a discussion exploring the concept of image rotation as a geometric transformation. 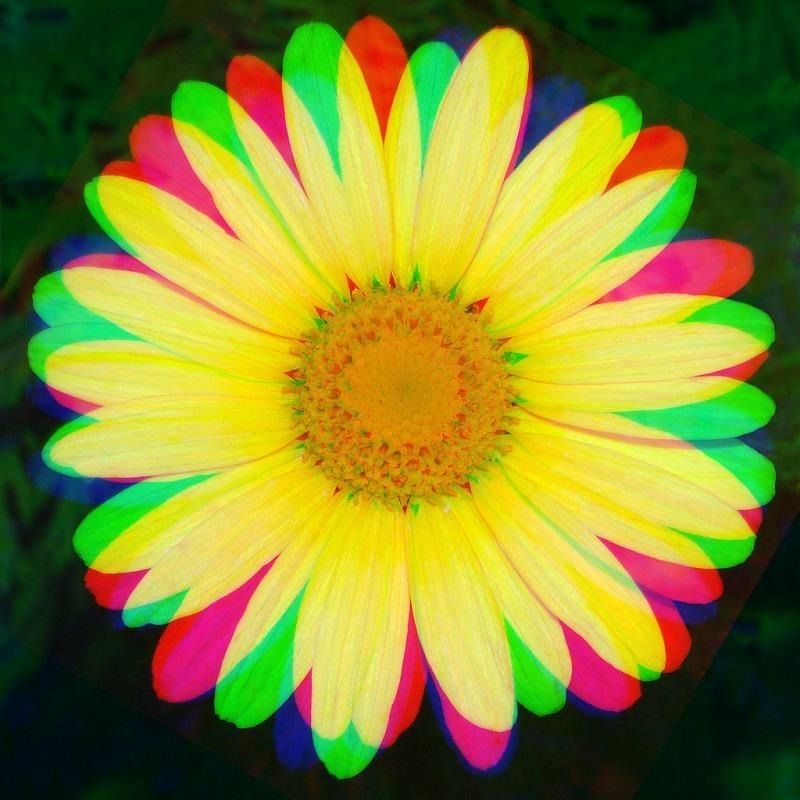 In addition to conventional image rotation this article illustrates the concept of individual colour channel rotation. A Sample Application has been included in the sample source code that accompanies this article. The sample application serves as an implementation of the concepts discussed throughout this article. Concepts can be easily tested and replicated using the sample application. When using the sample application users are able to load source/input images from the local file system by clicking the Load Image button. Required user input via the user interface can be found in the form of three numeric up/down controls labelled Blue, Green and Red respectively. Each control represents the degree to which the related colour component should be rotated. 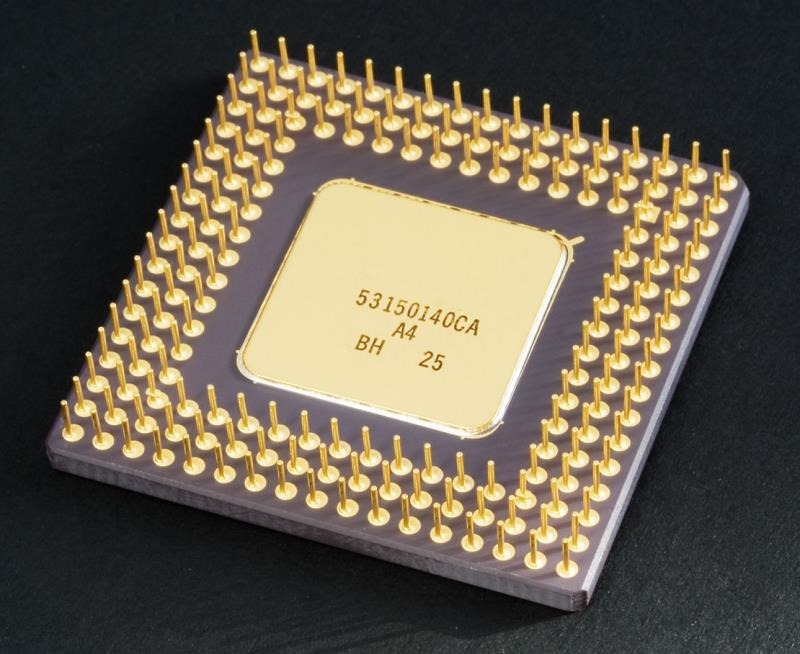 Possible input values range from –360 to 360. Positive values result in clockwise rotation, whereas negative values result in counter clockwise rotation. The sample application enables users to save result images to the local file system by clicking the Save Image button. In mathematics, transformation geometry (or transformational geometry) is the name of a mathematical and pedagogic approach to the study of geometry by focusing on groups of geometric transformations, and the properties of figures that are invariant under them. It is opposed to the classical synthetic geometry approach of Euclidean geometry, that focus on geometric constructions. 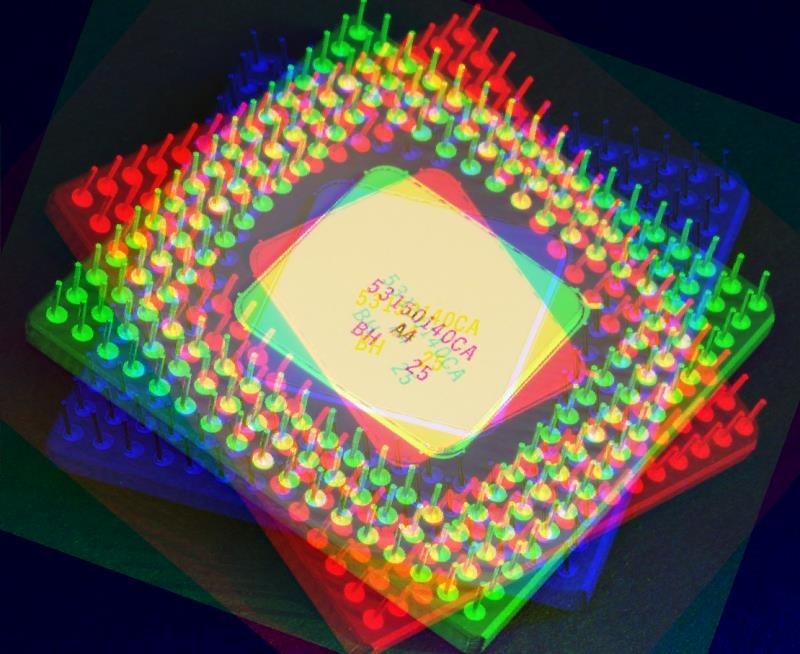 In this article image rotation is implemented through applying a set rotation transform algorithm to the coordinates of each pixel forming part of a source/input image. 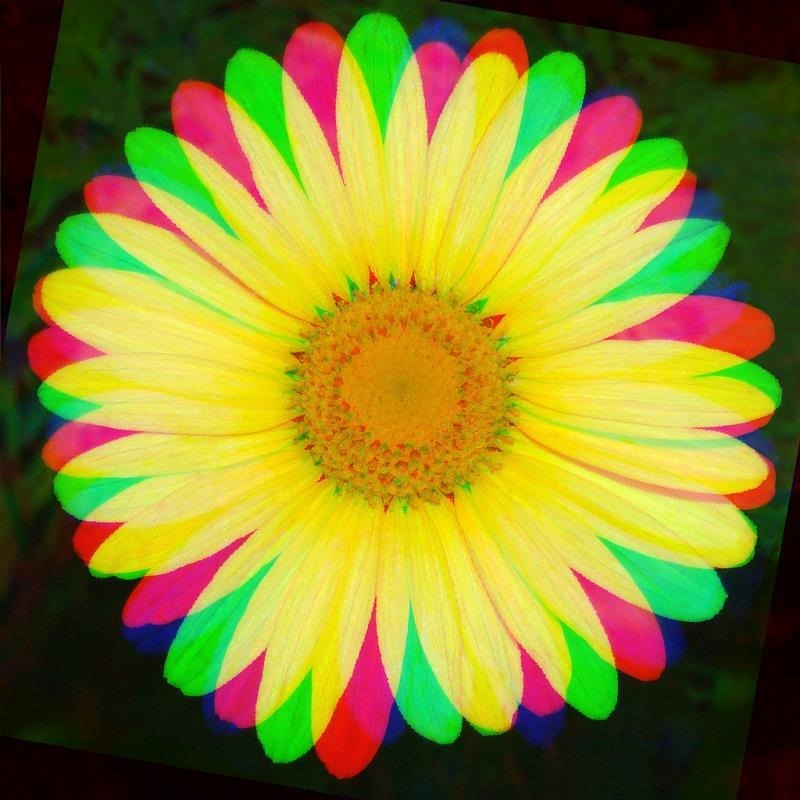 In the corresponding result image the calculated rotated pixel coordinates in terms of colour channel values will be assigned to the colour channel values of the original pixel. R (x) : The result of rotating a pixel’s x-coordinate. R (y) : The result of rotating a pixel’s y-coordinate. x : The source pixel’s x-coordinate. y : The source pixel’s y-coordinate. W : The width in pixels of the source image. H : The height in pixels of the source image. ɑ : The lower case Greek alphabet letter alpha. The value represented by alpha reflects the degree of rotation. In order to apply a rotation transformation each pixel forming part of the source/input image should be iterated. The algorithms expressed above should be applied to each pixel. The pixel coordinates located at exactly the middle of an image can be calculated through dividing the image width with a factor of two in regards to the X-coordinate. The Y-coordinate can be calculated through dividing the image height also with a factor of two. The algorithms calculate the coordinates of the image middle pixel and implements the coordinates as offsets. Implementing the pixel offsets results in images being rotated around the image’s middle, as opposed to the the top left pixel (0,0). This article and the associated sample source code extends the concept of traditional rotation through implementing rotation on a per colour channel basis. Through user input the individual degree of rotation can be specified for each colour channel, namely Red, Green and Blue. Functionality has been implemented allowing each colour channel to be rotated to a different degree. In essence the algorithms described above have to be implemented three times per pixel iterated. The sample source code implements a rotation transformation through the definition of two extension methods: RotateXY and RotateImage. The sample images featuring an image of a yellow daisy is licensed under the Creative Commons Attribution-Share Alike 2.5 Generic license and can be downloaded from Wikimedia.org. 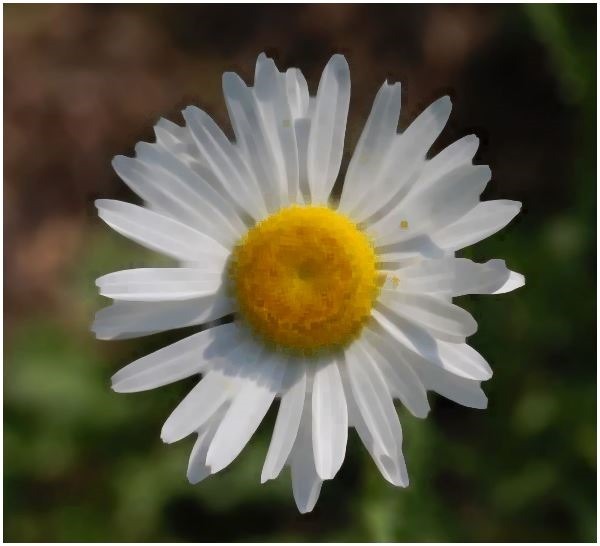 The sample images featuring an image of a white daisy is licensed under the Creative Commons Attribution-Share Alike 3.0 Unported license and can be downloaded from Wikipedia. 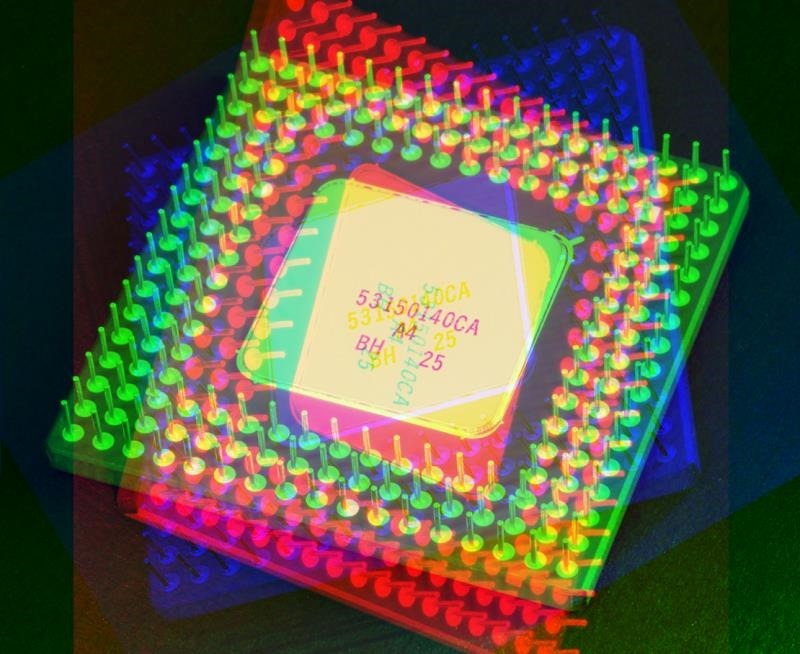 The sample images featuring an image of a CPU is licensed under the Creative Commons Attribution-Share Alike 2.0 Generic license. The original author is credited as Andrew Dunn. The original image can be downloaded from Wikipedia. 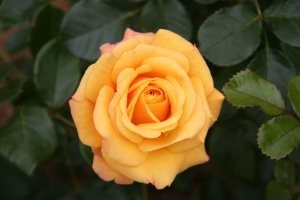 The sample images featuring an image of a rose is licensed under the Creative Commons Attribution-Share Alike 3.0 Unported, 2.5 Generic, 2.0 Generic and 1.0 Generic license. 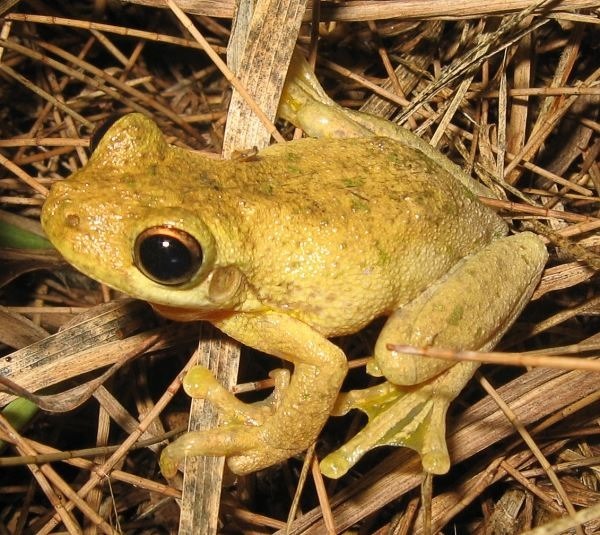 The original image can be downloaded from Wikipedia. 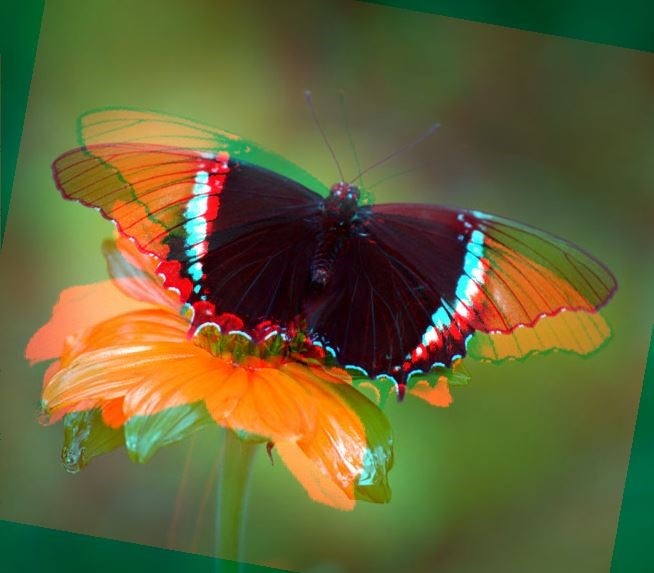 The sample images featuring an image of a butterfly is licensed under the Creative Commons Attribution 3.0 Unported license and can be downloaded from Wikimedia.org. 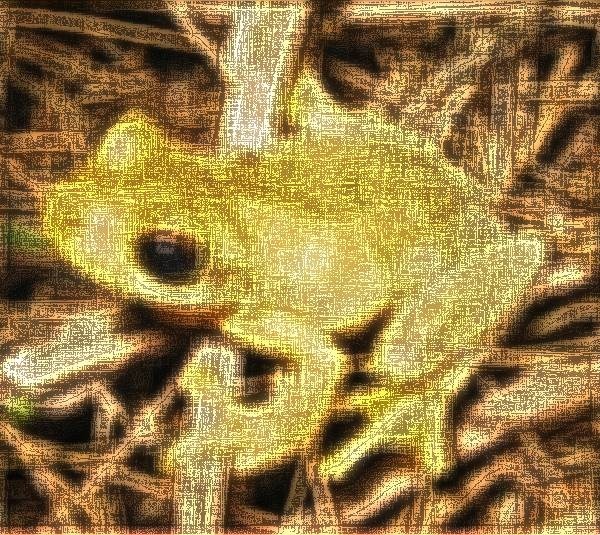 This article serves to provides an introduction and discussion relating to Image Blurring methods and techniques. 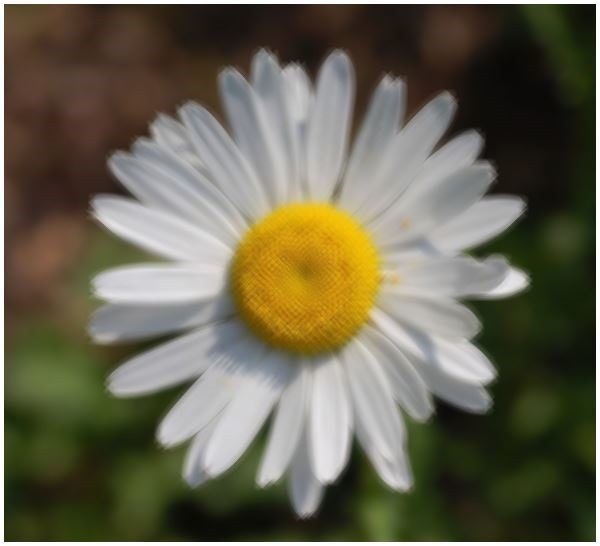 The Image Blur methods covered in this article include: Box Blur, Gaussian Blur, Mean Filter, Median Filter and Motion Blur. 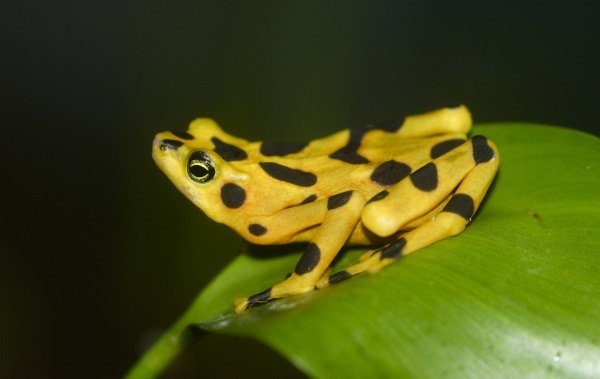 This article is accompanied by a sample application, intended to provide a means of testing and replicating topics discussed in this article. The sample application is a Windows Forms based application of which the user interface enables the user to select an Image Blur type to implement. When clicking the Load Image button users are able to browse the local file system in order to select source/input images. In addition users are also able to save blurred result images when clicking the Save Image button and browsing the local file system. The sample application provides the user with the ability to select the method of image blurring to implement. The combobox dropdown located on the right-hand side of the user interface lists all of the supported methods of image blurring. When a user selects an item from the combobox, the associated blur method will be implemented on the preview image. The process of image blurring can be regarded as reducing the sharpness or crispness defined by an image. Image blurring results in image detail/definition being perceived as less distinct. 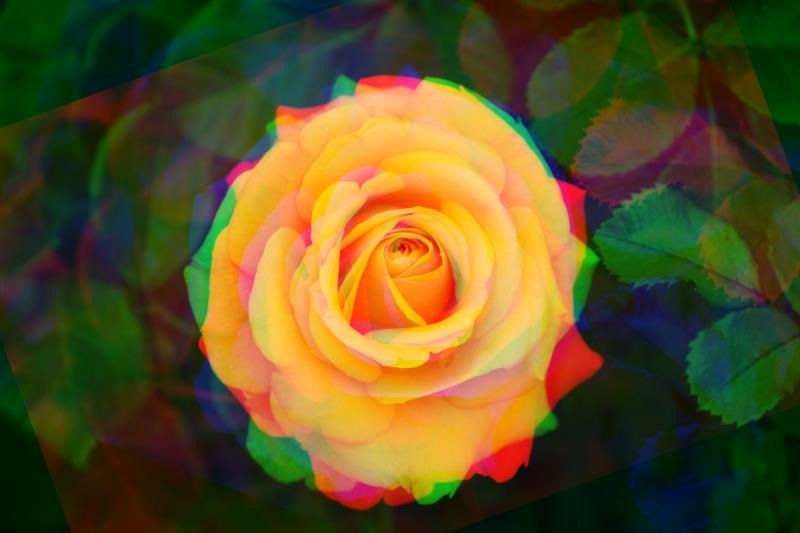 Images are often blurred as a method of smoothing an image. Images perceived as too crisp/sharp can be softened by applying a variety of image blurring techniques and intensity levels. 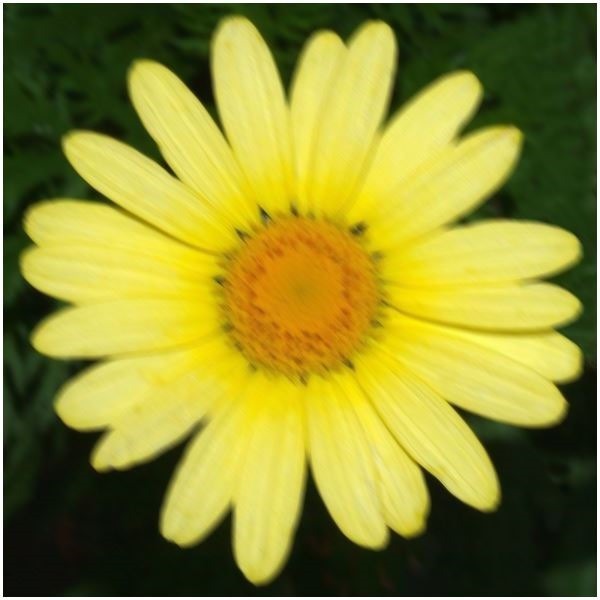 Often images are smoothed/blurred in order to remove/reduce image noise. In image edge detection implementations better results are often achieved when first implementing noise reduction through smoothing/blurring. 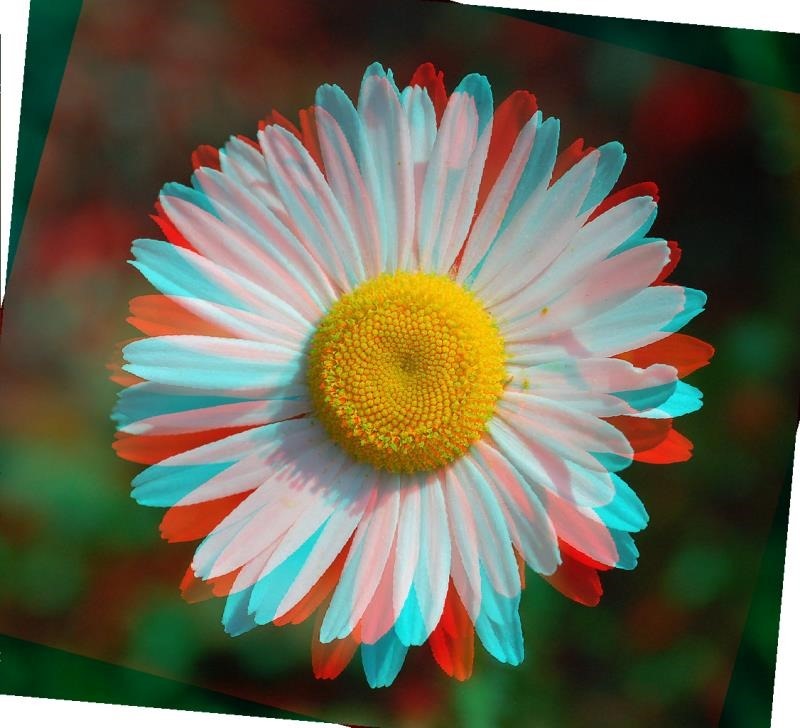 Image blurring can even be implemented in a fashion where results reflect image edge detection, a method known as Difference of Gaussians. In this article and the accompanying sample source code all methods of image blurring supported have been implemented through image convolution, with the exception of the Median filter. Each of the supported methods in essence only represent a different convolution matrix kernel. The image blurring technique capable of achieving optimal results will to varying degrees be dependent on the features present in the specified source/input image. Each method provides a different set of desired properties and compromises. In the following sections an overview of each method will be discussed. 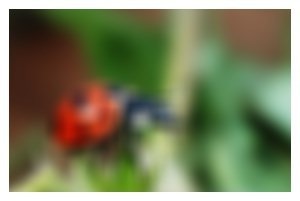 A box blur is an image filter in which each pixel in the resulting image has a value equal to the average value of its neighbouring pixels in the input image. It is a form of low-pass ("blurring") filter and is a convolution. Due to its property of using equal weights it can be implemented using a much simpler accumulation algorithm which is significantly faster than using a sliding window algorithm. Mean Filter as a title relates to all weight values in a convolution kernel being equal, therefore the alternate title of Box Blur. 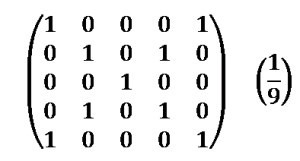 In most cases a Mean Filter matrix kernel will only contain the value one. 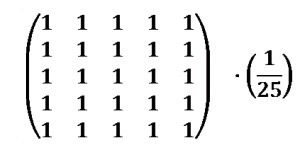 When performing image convolution implementing a Mean Filter kernel, the factor value equates to the 1 being divided by the sum of all kernel values. The kernel consist of 25 elements, therefore the factor value equates to one divided by twenty five. 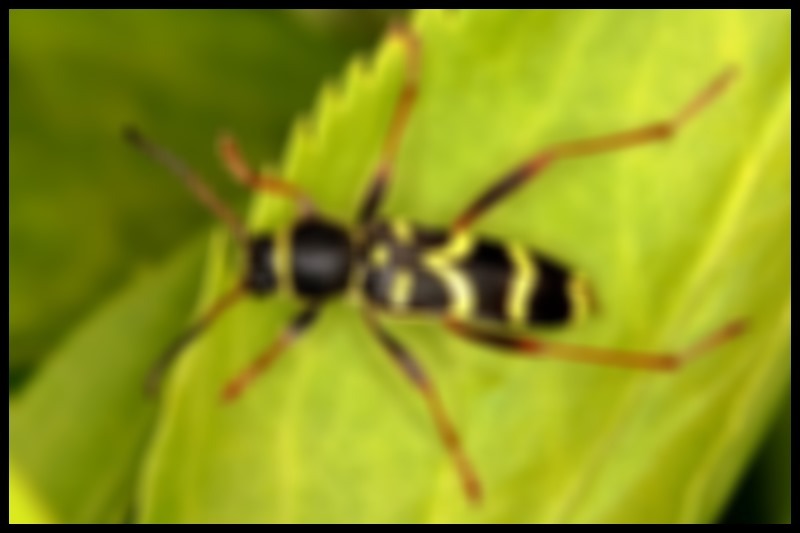 The Mean Filter Blur does not result in the same level of smoothing achieved by other image blur methods. The Mean Filter method can also be susceptible to directional artefacts. The Gaussian method of image blurring is a popular and often implemented filter. In contrast to the Box Blur method Gaussian Blurring produce resulting images appearing to contain a more uniform level of smoothing. 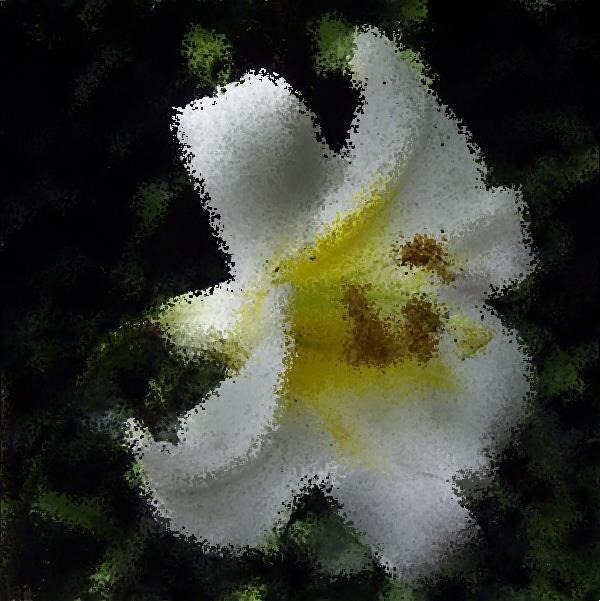 When implementing image edge detection a Gaussian Blur is often applied to source/input images resulting in noise reduction. The Gaussian Blur has a good level of image edge preservation, hence being used in edge detection operations. A potential drawback to implementing a Gaussian blur results from the filter being computationally intensive. The following matrix kernel represents a 5×5 Gaussian Blur. The sum total of all elements in the kernel equate to 159, therefore a factor value of 1.0 / 159.0 will be implemented. In signal processing, it is often desirable to be able to perform some kind of noise reduction on an image or signal. The median filter is a nonlinear digital filtering technique, often used to remove noise. Such noise reduction is a typical pre-processing step to improve the results of later processing (for example, edge detection on an image). Median filtering is very widely used in digital image processing because, under certain conditions, it preserves edges while removing noise. 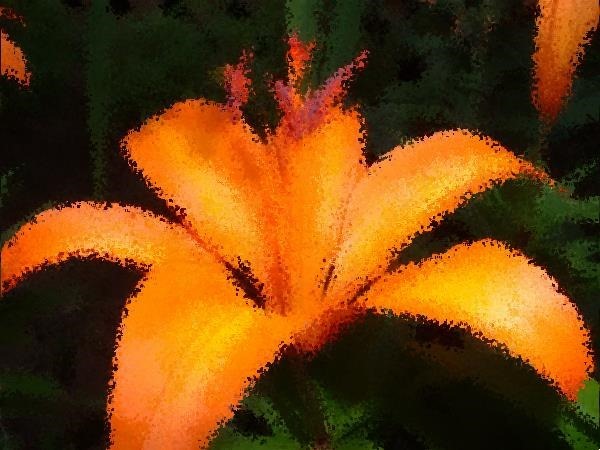 Iterate each pixel that forms part of the source/input image. In relation to the pixel currently being iterated determine neighbouring pixels located within the bounds defined by the window size. The window location should be offset in order to align the window’s middle pixel and the pixel currently being iterated. Neighbouring pixels located within the bounds defined by the window should be added to a one dimensional neighbourhood array. Once all value have been added, the array should be sorted by value. The pixel value located at the middle of the sorted neighbourhood array qualifies as the Median value. The newly determined Median value should be assigned to the pixel currently being iterated. Repeat the steps listed above until all pixels within the source/input image have been iterated. Similar to the Gaussian Blur filter the Median Filter has the ability to smooth image noise whilst providing edge preservation. 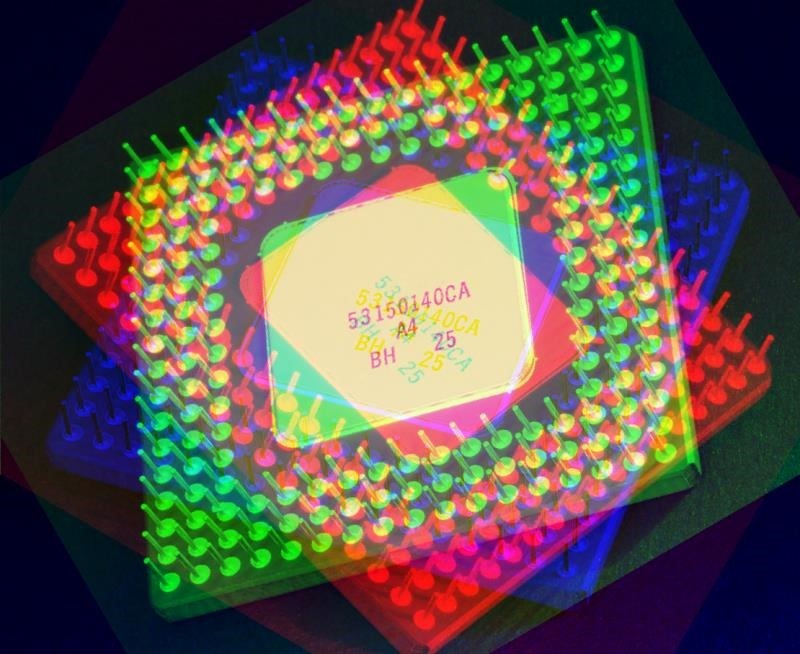 Depending on the window size implemented and the physical dimensions of input/source images the Median Filter can be computationally expensive. The sample source implements Motion Blur filters. Motion blurring in the traditional sense has been association with photography and video capturing. Motion Blurring can often be observed in scenarios where rapid movements are being captured to photographs or video recording. 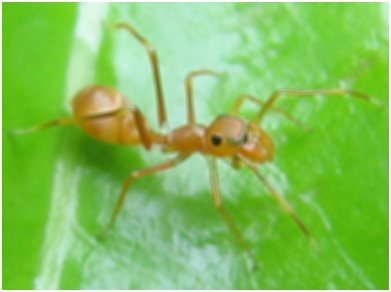 When recording a single frame, rapid movements could result in the image changing before the frame being captured has completed. Motion Blurring can be synthetically imitated through the implementation of Digital Motion Blur filters. The size of the matrix kernel provided when implementing image convolution affects the filter intensity perceived in result images. 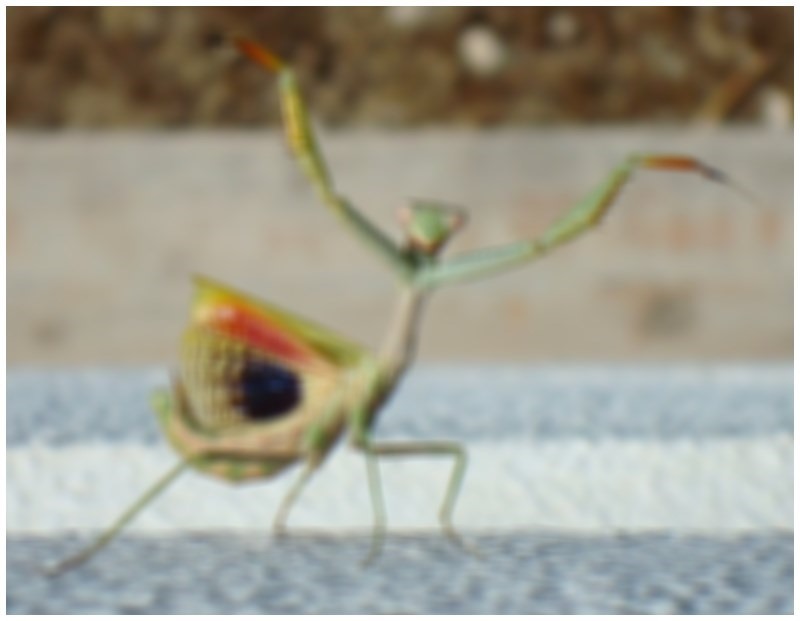 Relating to Motion Blur filters the size of the kernel specified in convolution influences the perception and appearance of how rapidly movement had occurred to have blurred the resulting image. Larger kernels produce the appearance of more rapid motion, whereas smaller kernels result in less rapid motion being perceived. Depending on the kernel specified the ability exists to create the appearance of movement having occurred in a certain direction. The sample source code implements Motion Blur filters at 45 degrees, 135 degrees and in both directions simultaneously. The sample source code implements all of the concepts explored throughout this article. The source code definition can be grouped into 4 sections: ImageBlurFilter method, ConvolutionFilter method, MedianFilter method and the Matrix class. The following article sections relate to the 4 main source code sections. 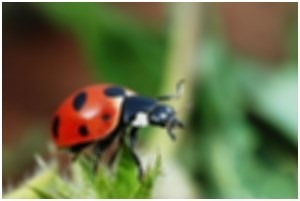 The ImageBlurFilter extension method has the purpose of invoking the correct blur filter method and relevant method parameters. This method acts as a method wrapper providing the technical implementation details required when performing a specified blur filter. The MedianFilter extension method targets the Bitmap class. 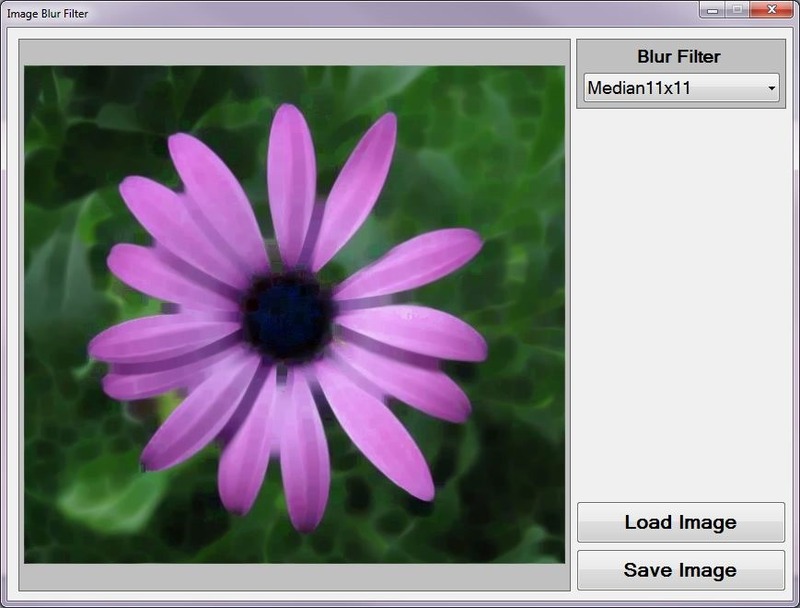 The MedianFilter method applies a Median Filter using the specified Bitmap and matrix size (window size), returning a new Bitmap representing the filtered image. The sample source code performs image convolution by invoking the ConvolutionFilter extension method. The sample images featuring an image of a pink daisy is licensed under the Creative Commons Attribution-Share Alike 2.5 Generic license and can be downloaded from Wikipedia. The sample images featuring an image of a purple daisy is licensed under the Creative Commons Attribution-ShareAlike 3.0 License and can be downloaded from Wikipedia.